Don’t they say that the surest path to discovering a place’s culture runs through the stomach? Our Tbilisi locals feel the same and they’re eager to share their favorite spots for breakfast, lunch, dinner, casual spots, fine dining, traditional kitchen, ethnic cuisine and everything in between — all without breaking the bank. When it comes to the best food in town, you’re in safe, expert hands with these restaurants. “Amodi” in Tbilisi is a cozy house with a big terrace. From here I always enjoy the best over the city. Tasty food, great prices, music… it’s perfect! 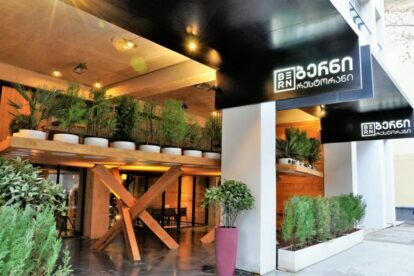 “Barbarestan” is one of the most intriguing restaurants in Tbilisi. The recipes have been borrowed from this 19th century duchess, so they’re just sublime. “Burger Bar” in Tbilisi serves the perfect burgers. The variety, the quality, the exceptional taste… I definitely recommend the Chicago Burger!